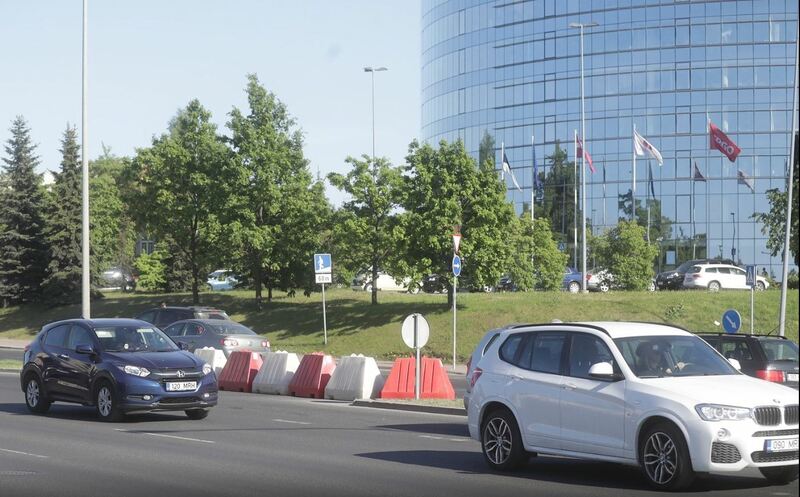 In cooperation between the public and private sector, an electronic traffic solution will be set up for greater safety on Tammsaare tee in Tallinn on the road section between Rahumäe and Järvevana tee. The electronic traffic solution which ensures greater safety enables reopening of the left turn on Tammsaare tee, heading towards Tammsaare Ärikeskus and K-Rauta store, and of the U-turn enabling one to drive onto ESS Kinisvara’s premises. The system covers a section extending 1.1 km in both directions, considers traffic flows, and enables dynamic change of speed regimes, all required for guaranteed safety. On the relevant road section will be installed 12 electronic variable-message traffic signs displaying VSL (variable speed limit), 6 traffic light heads, and 5 portals, a feed and communications connection will be set up with Tallinn’s traffic light center, and new programs for traffic light systems will be prepared. The electronic traffic solution which ensures greater safety costs approximately € 240,000 in total, one half of which is jointly and severally covered by OÜ Tammsaare Ärikeskus, AS Kesko Senukai Estonia, and ESS Kinnisvara OÜ and the other half by the City of Tallinn. This current case constitutes a favorable example of how PPP – public-private partnership – enables super fast establishment of a safe traffic solution. Relevant work is scheduled to be completed by the end of December 31, 2018.